Tim is a master fabricator, certified welder and has been doing my most crucial welds for me for many years. He has been a fabricator of Lyras and many very unique and awesome apparatus as well as Dance Stilts. I will remain in the loop with the business process and design of the aerial rigs to maintain a high quality product.. Thanks for your support and trust in me to provide a great aerial rig product. Now you can rely on Tim to provide you with the same great aerial rig product as well as various aerial apparatus. Tim at 703-835-7155 VVolfymetalworks@gmail.com Denver Co. Note, that is two "V"s, "V V" not a "W"
MY rig does not need guy wires or stakes into the ground as long as it is NOT used for swinging. If you are in a HIGH wind area, it would be a good idea to use guy wires if rig is set up long term and un-attended. Can be set up on pavement, asphalt , streets, indoors, Grass, Sand(with 2'x2'plywood foot pads) etc. Determined by how many leg section you chose to put on during set-up. up to 20 ft high with extension feet fully extended, in 6" increments . Meaning that, if you buy a 16-20 ft rig you can chose to set it up as low as 7-ft up to 20-ft . There are a total of about 20 different height that the ONE rig can be set up too. Quad rig: Consisting of a 4 leg design with of 4ft header, up to three 6ft leg sections per corner. and all hardware needed to set up. Tripod rig: Consisting of 3 leg design with up to three 6ft leg sections per corner. a tri-pod rig can only handle 3/4 the load of a Quad rig. Before you buy mine, or any one else's rig please check this out. Aerial equipment and rigging FAQ. rigging go to the following web page about rigging best practices. Learn about rigging before you do it. Delbert Hall's web page http://www.d2flying.com/ certified ETCP rigger. consider having him do a presentation at your school for your students and performers. Set-up is only about 20 minutes, even less once you get good at it. For a quad rig, usually fairly strong 2 people to lift, one not so strong to insert a leg section. Great for Single, Double Trapeze, Fabric, Lyra, Corde Lisse, Limited Spanish Web etc. NOT for SWINGING trapeze, see following note. Moderate swinging activities are possible as long as the swing does NOT go beyond the legs. The rig can be guyed out using just 2 cables and then will allow for a little more swinging. This might be your solution to places where you can't use tie down guy wires. Can be set up to various height by just choosing which and how many leg segments to use. Header is set up to allow for single point suspension like fabric, and 2 point suspension like a trapeze bar. The header also has hookup points for safety lines & pulleys, and for equipment hoisting cables and pulleys. This rig when set up at 11.5ft and with 6ft header allows you to have 2 participants on a rig at same time. 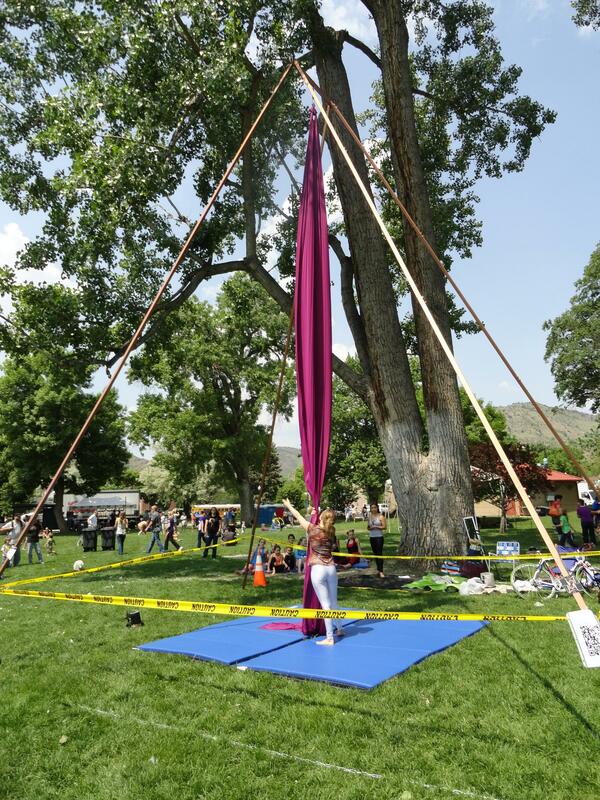 Great for setting up in a park, giving your aerial Yoga classes exposure to the public. One thought, buy a 21 ft rig for aerials, with an extra header and extra feet. 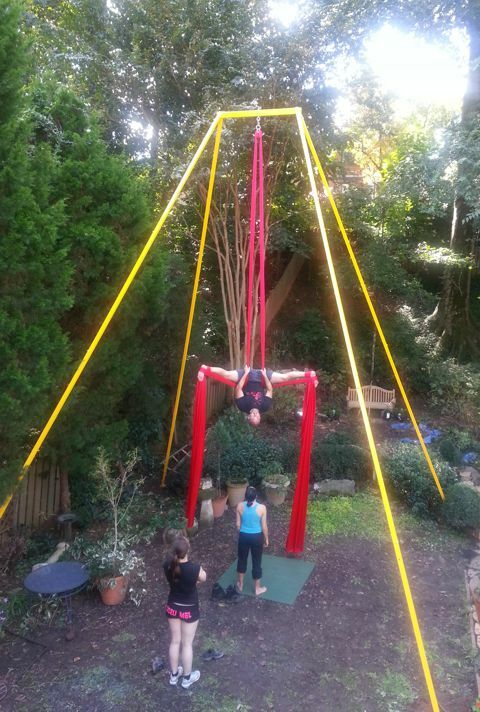 Then you can use the legs from the 21 ft rig with the extra header and feet to set up 2 low rigs for aerial YOGA. History and INTENT of my rigs. When I first started making rigs ( about 2001 ) there were very few if any portable rigs available. or for someone just wanting a rig to practice on. to people for whom my rigs are not the right ones for their application. My intent was to make a low cost simple rig for the average aerial enthusiast. No frills, no exotic materials. And can be carried in cars and pick-up trucks. See photo bellow. Since then , it turns out, many professional performers and performing troupes have started using and preferred my rigs after all. 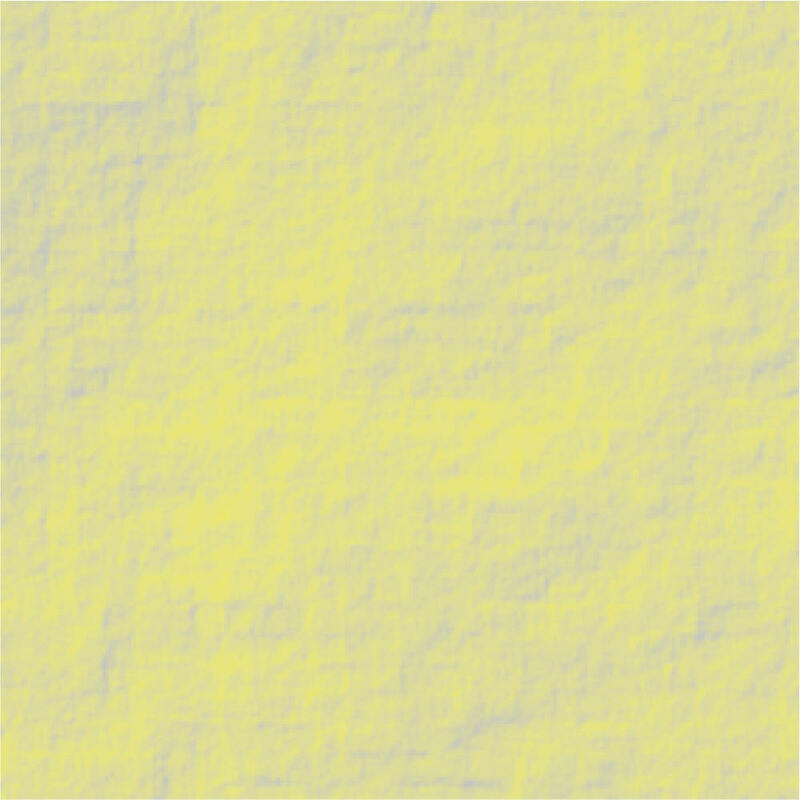 Because of that, I have changed my designs a little bit to accommodate this with nicer paint jobs, and a few misc. features. right in front of or behind them as is with the tripod, preventing even the smallest of swings. With the quad, you wind up with 2 legs to one side and 2 legs on other side of you. it can only handle a weight load of 3/4 that of a QUAD rig. Benefits of Tri-Pod, less parts to transport and much easier set-up. Cons:A tripod comes to a relative narrow point at top, about 1 ft across. This means that as you work high up in the rigs the legs get close together and can interfere with the performance. might need to get a slightly taller rig for the same performing height as a quad. Some tripods have large triangular headers to avoid this, but that results in difficulty transporting the tripod header. Entire QUAD rig inside a Subaru Forester or full quad rig, still in shipping boxes, in a Mini Cooper. 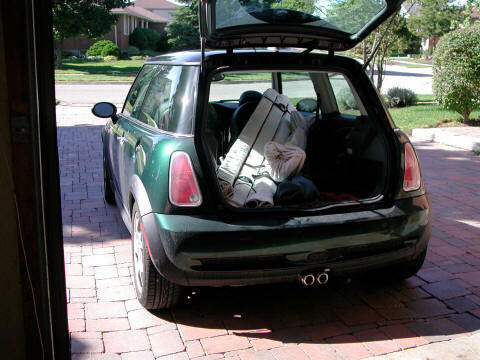 Not any space left for a passenger in the MINI, but they got it in there for transporting it home. MUST READ, before you even order. for Foreword, Disclaimers and Warnings. This has many photos and should answer most questions. Aerials and the use of aerial rigging is an extremely hazardous activity. The activity of aerial sports as trapeze, web, fabric, hoop etc. is a thrill seeking, daredevil type of activity. It is extremely hazardous and should be approached with this in mind. When doing these activities you are willfully risking life & limb. The use of, and the erection and lowering/disassembly of a rig is a very dangerous activity as well. no responsibility for safety of this equipment. The USER (you) , knowing the extreme nature of this endeavor, assumes all responsibility. If the user is not willing to assume the risks associated with this sport and activity and any high risk activity, then the user should not engage in the sport and the use of this or any aerial equipment, and should find a more benign activity to participate in. NEVER, EVER tie aerial fabric to the upright legs of a free standing rig for storage or to get it out of the way, when rig is set up outdoors where wind is possible. on spectators or bystanders. Not funny, has actually happened to someone with the old heavy rig. That fabric puts out a LOT of power in the wind. If you must store the fabric on rig momentarily then twist fabric tight, wrap around leg and secure so wind can't catch it. Even this way is dangerous if enough wind comes. This is where Pulley Systems come in handy. On occasion a potential customer might ask to speak to someone that has a product or might want to go see a rig set up, if they are in your area.. I might get them in contact with you. Due to defect or workmanship, you may return it within thirty (30) days of receipt for a full refund, less shipping and handling. Product must be in its original condition, with original packing materials, boxed (with ample filler) and shipped freight prepaid. Please include proof of purchase and reason for return. Need to get special shipping quote.